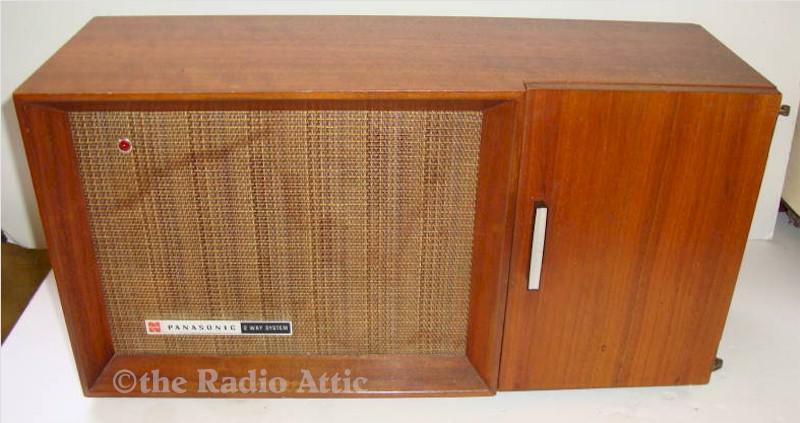 I was lucky enough to find another one of these great Panasonic mid-century radios in excellent condition. Very clean wood, some water staining on grille. This would fit in well with Danish modern decor. Very solid cabinet It plays very well on both bands. Add $48 for domestic shipping. You are visitor number 1,906 to this page.